Defence Minister Harjit Sajjan said he is willing to listen to Canadian and open a dialogue with them as he launched yesterday the long-awaited review of the country’s defence policy. Sajjan also named members of the blue-ribbon panel that will review the Canada’s defence policy which is based on the Canada First Defence Strategy introduced in 2008. The last time a revamp of the magnitude the Liberals are planning was done, according to the defence minister, was in 1994. Over the next year, four eminent Canadians with expertise in defence, security, foreign affairs, and legal matters will support and advise the Minister of National Defence during the policy review process. Margaret Purdy, former Deputy Secretary to the Cabinet (Security and Intelligence) in the Privy Council Office, and former Associate Deputy Minister of National Defence. Feedback can be submitted online at www.canada.ca/defence-consultations until July 31, 2016, and will inform a new policy to be released in early 2017. Six cross-country roundtable meetings will be held with a range of stakeholders in Toronto, Vancouver, Yellowknife, Edmonton, Montreal, and Halifax, ending in July 2016. Minister Sajjan will host the first roundtable meeting in Vancouver, on April 27, 2016. We will also be soliciting papers from a number of experts to inform this important discussion. We have invited the Senate and House Committees on National Defence to study issues of relevance to the policy review, and we will ask Parliamentarians to encourage their constituents to submit feedback. International Allies and partners, including the United States, will be engaged during bilateral and multilateral meetings. During the Cold War in the 1950s through the 1970s, the focus shifted to include contributing to the security of Europe in the face of the Soviet military threat. As the North Atlantic Treaty Organization moved its focus to “out of area” concerns, the Canadian military saw involvement in international operations in various parts of the world including Afghanistan in the 2000s. 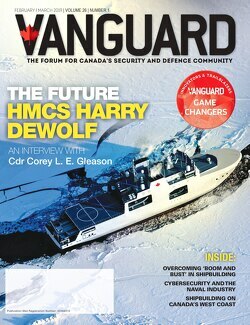 The Canadian forces have been saddled by procurement processes flaws that have caused many materiel programmes to be delayed and go over budget, hindering the capability to provided land, sea and air forces to the equipment they need. For instance, programmes such as the National Shipbuilding Procurement Strategy (NSPS) has been mired in controversy and wrangling among local providers. Delivery of some vessels for the Navy have been delayed and have gone over budget. The military is also now faced with the challenges of dealing with evolving threats that included cyber- attacks as well as threats from state-sponsored terrorists and rogue nations. Just last month, when the Liberals announced the federal budget for 2016, it was revealed that some $3.7 billion earmarked for the acquisition of new planes, ships and vehicles for the military, would be once more postponed. The Conservative, in two previous budgets, also postponed defence purchases. Now, the total deferred defence purchases have reached $10.4 billion. Some observers interpret the LIberal’s decision to delay using the $3.7 billion planned for equipment purchases as a budget cut. However, Sajjan, who took credit for that decision, said it will ensure that the money will be available when the military needs it. An article in the National Post, quoted Sajaan as saying the Liberals are committed to the military but would like to see it have a better focus.